Boil potatoes in jackets, cool and peel. 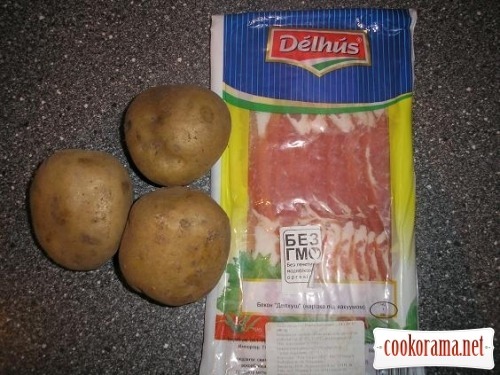 Cut each potato along in 4 parts. 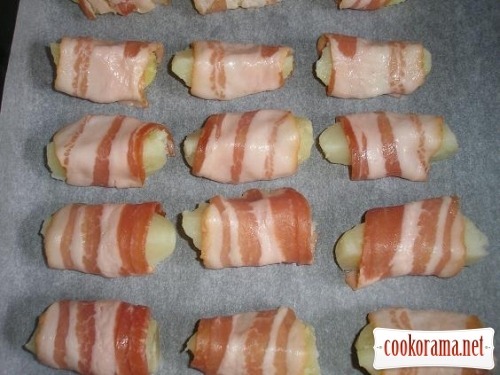 Wrap each potato quarter in bacon. Bake at 180℃ for 15 min. 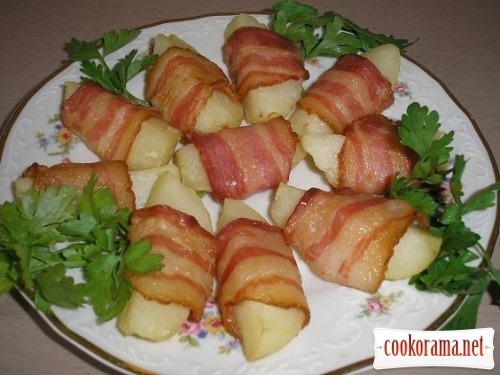 Top of recipe "Potatoes in clothes"